When someone leaves your company, you might need to preserve their Office 365 data. The steps needed to preserve user information stored in Email, OneDrive, and SharePoint are straightforward, but what about the messages the employee sent using Teams? As it turns out, an Office 365 content search or an Office 365 Data Subject Request (a specialized version of a content search designed to meet a GDPR requirement) is a good way to retrieve information about Teams messages. To complement the items found by a content search, you can gain more insight into the user’s activities in Teams from the Office 365 audit log. For more information on this topic, see the Petri.com article. 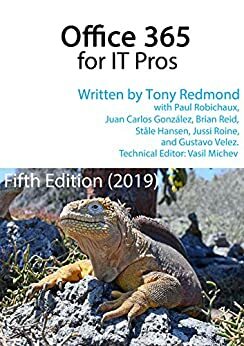 And when you’ve read the Petri article, pick up a copy of the Office 365 for IT Pros eBook and get even more technical information about content searches (including DSRs) in Chapter 20 – and maybe even the stuff we’ve written about Teams in Chapter 13.